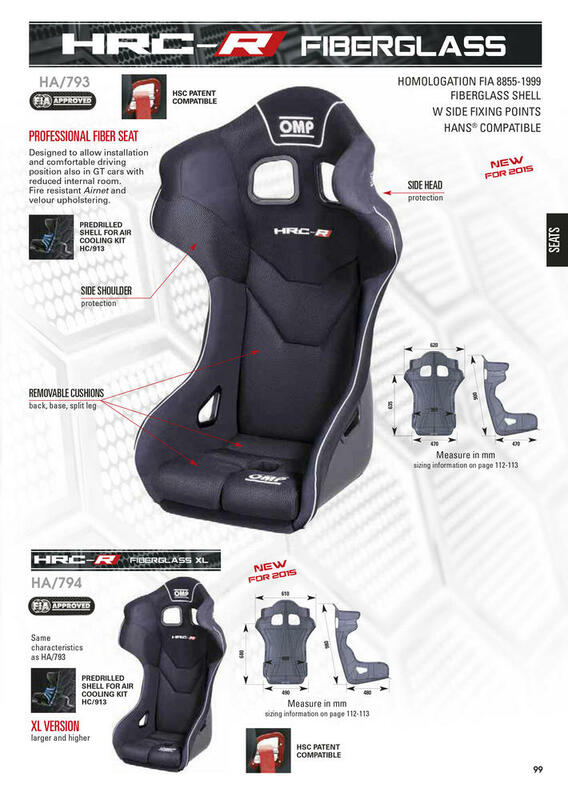 Racing seat with fiberglass shell and high protection shoulder and head containment. 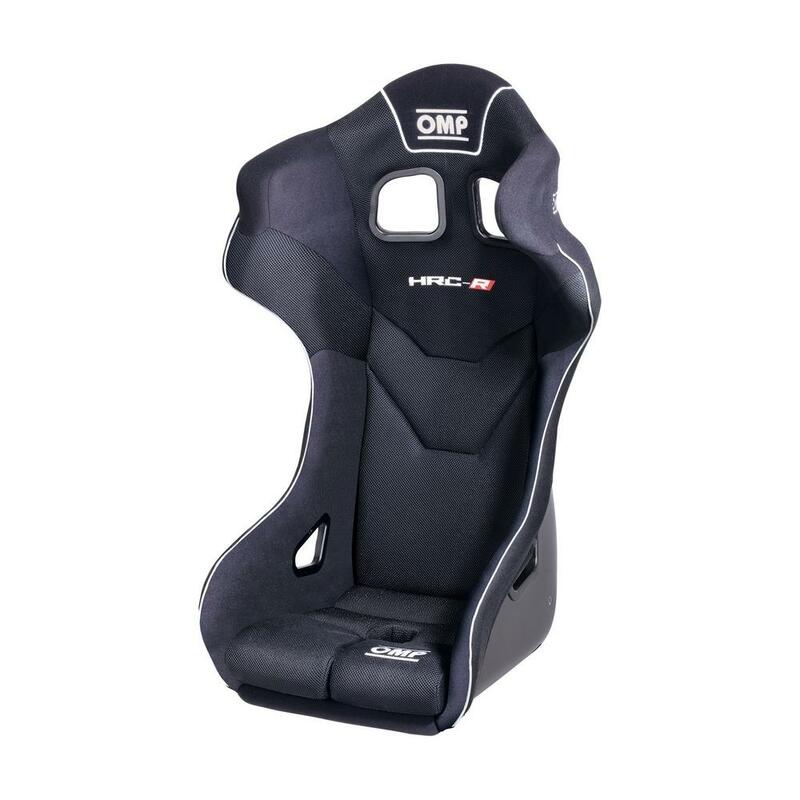 Designed to allow installation and comfortable driving position also in GT cars with reduced internal room. The velvet side allows for the application of containment cushions, which are available in 2 sizes (M or S, ref. HB/701). The base cushion is also available in a thicker version (50mm, ref. HB/702). Upholstered in high breathability Airnet and velour materials. Predrilled shell to allow cooling kit installation. HSC system compatible. 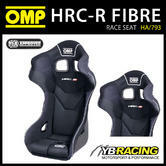 Description: Racing seat with fiberglass shell and high protection shoulder and head containment. Designed to allow installation and comfortable driving position also in GT cars with reduced internal room. The velvet side allows for the application of containment cushions, which are available in 2 sizes (M or S, ref. HB/701). The base cushion is also available in a thicker version (50mm, ref. HB/702). Upholstered in high breathability Airnet and velour materials. Predrilled shell to allow cooling kit installation. HSC system compatible. 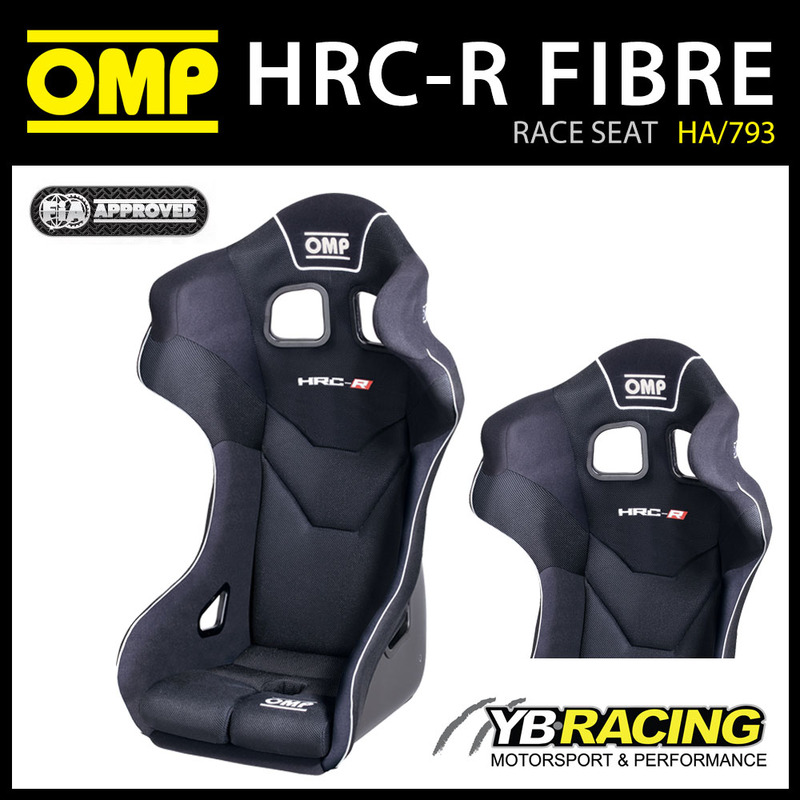 Description: Professional Fiber Seat. Designed to allow installation and comfortable driving position also in GT cars with reduced internal room. Fire resistant Airnet and velour upholstering.